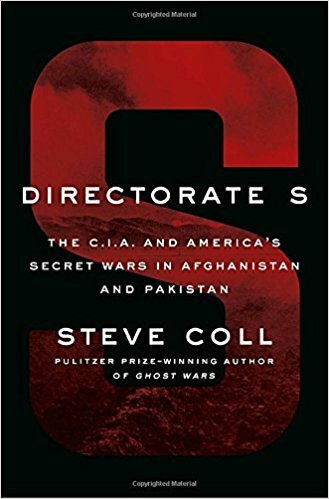 Joshua Sinai at the Washington Times offers a review of Steve Coll’s Directorate S: The C.I.A. and America’s Secret Wars in Afghanistan and Pakistan. With the appointments of John Bolton as the National Security Adviser and Mike Pompeo as the secretary of State, the Trump administration is likely to embark on a major review of the policies and programs guiding the 16-year U.S. political and military involvement in Afghanistan. They will also examine the extent to which the Pakistani government is cooperating with the U.S. in countering these insurgents, or whether it is playing a double game by shielding the Pakistani Taliban, as well as providing a safe haven to the remnants of al Qaeda, especially to Ayman al Zawahiri, Osama bin Laden’s successor, somewhere in Pakistan. This book is the second volume and update of the author’s best-selling “Ghost Wars: The Secret History of the CIA, Afghanistan, and Bin Laden, from the Soviet Invasion to September 10, 2001,” published in 2004. What is remarkable about this book is Mr. Coll’s recounting of numerous behind-the-scenes meetings and memos by high level Bush and Obama administration officials and their Pakistani and Afghanistan government counterparts, as each side attempted to press its case to manage and, if possible, resolve, the difficult and problematic political and military situation in Afghanistan.